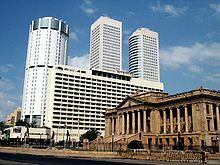 Sri Lanka is surrounded by Indian Ocean, It is in the Sub-Continent,Sri Lanka is a republic and a unitary state which is governed by a semi-presidential system with its executive seat of government in Sri Jayawardenapura-Kotte, the capital. The country is famous for the production and export of tea, coffee, coconuts, rubber and cinnamon, the last of which is native to the country, The natural beauty of Sri Lanka has led to the title The Pearl of the Indian Ocean. The island is laden with lush tropical forests, white beaches and diverse landscapes with rich biodiversity. The country lays claim to a long and colorful history of over three thousand years, having one of the longest documented histories in the world. 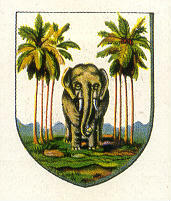 Sri Lanka's rich culture can be attributed to the many different communities on the island. Sinhalese and Tamil are the two official languages of Sri Lanka. English is fluently spoken by approximately 10% of the population, and is widely used for education, scientific and commercial purposes. Members of the Burgher community speak variant forms of Portuguese Creole and Dutch with varying proficiency, while members of the Malay community speak a form of Creole Malay that is unique to the island. Sri Lanka has a multi-ethnic and multi-religious population. Buddhism constitutes the religious faith of about 70% of the population of the land mass, most of whom follow the Theravada school of Buddhism. 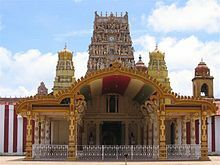 According to customary Sri Lankan history, Buddhism was introduced into Sri Lanka in the 2nd century BCE by Venerable Mahinda, the son of the Emperor Ashoka, during the reign of Sri Lanka's KingDevanampiyatissa.